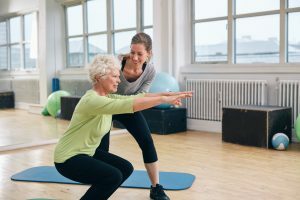 A recent study conducted by University of Buffalo revealed a significant reduction in death risk among women over 65 who regularly engaged in light physical activity. In other words, simply doing the dishes, sweeping the floor, folding the laundry and other household chores can help prolong your life. According to the study, published in the Journal of the American Geriatrics Society, a majority of the 6,000 white, African-American, and Hispanic female respondents aged 63 to 99 years old had a 12 percent lower risk of death by doing light physical activities, including regular household chores. On the other hand, a half-hour of moderate to vigorous activity each day, including brisk walking or bicycling can lower mortality risk by 39 percent, the study adds. In addition to that, exercise may also help reduce chronic disease amongst the older population. Physical exercise may start from moderate intensity and can increase as the body gets used to and can tolerate the activity. It may seem to have no effect at first, but regular practice will lead to more noticeable changes in the body and health. The study used an accelerometer instead of a standard questionnaire to record the participants activities. Accelerometers are motion-sensing devices that electronically record and store daily movement patterns and intensity of the said movement by those who wear it. The recorded data is downloaded for analysis. For this particular study, the participants wore the accelerometers within four to seven days. The researchers reportedly still observed significantly lower mortality associated with each time, independently of the other, regardless whether the participants did either a light or moderate-to-vigorous activity. In addition, the results are found to be similar regardless of race and subgroups, according to Andrea LaCroix, professor and chief of epidemiology at the University of California San Diego, and the studys principal investigator. Perhaps most importantly for this population, the mortality benefit was similar among women with high and low functional ability, LaCroix added. Likewise, Michael LaMonte, research associate professor of epidemiology and environmental health in the University of Buffalos School of Public Health and Health Profession, and the studys lead author, concludes that doing something is better than nothing, even when at lower-than-guideline recommended levels of physical activity. The researchers also conducted a laboratory study in a subset of study participants during which they aligned the accelerometer information with completion of activity tasks germane to older womens usual daily activity habits. According to LaMonte, the population group aged 65 and older will have doubled since 2000, reaching nearly 77 million by 2050. Furthermore, given the current growth pattern, it is predicted that older women will outnumber older men two to one. These findings are especially relevant to aging well in an aging society. Some people, because of age or illness or deconditioning, are not able to do more strenuous activity. Current guidelines do not specifically encourage light activity because the evidence base to support such a recommendation has been lacking. LaMonte and his teams research efforts are currently being considered by the U.S. Department of Health and Human Services 2018 Physical Activity Guidelines Advisory Committee, which was first introduced a decade ago by then HHS Secretary Michael O. Leavitt.